Kevin Harvick, driver of the No. 4 Busch Light Ford Fusion for Stewart-Haas Racing (SHR), is looking to check an item off of his to-do list Saturday night at Kentucky Speedway in Sparta. Harvick has scored Monster Energy NASCAR Cup Series wins at 21 of 23 racetracks on the current Cup Series schedule. He lacks only Kentucky and Pocono (Pa.) Raceway – both tracks with a race remaining in 2018. The only driver to win at more tracks than Harvick is 2015 NASCAR Cup Series champion Kyle Busch, who has won races at all 23 venues the series visits with his victory in May at Charlotte (N.C.) Motor Speedway sealing the feat. For Harvick, Kentucky also happens to be the only track on the current schedule where he’s yet to score a top-five finish. The 2014 NASCAR Cup Series champion had a strong effort at the newly repaved Kentucky Speedway in 2016. He started from the pole position after inclement weather cancelled Cup Series qualifying and the starting lineup was set according to the NASCAR Rule Book. He went on to lead a race-high 128 of 267 laps around the 1.5-mile oval, but fuel strategy caused him to make a late-race pit stop that foiled his strong run and ended in a ninth-place finish. 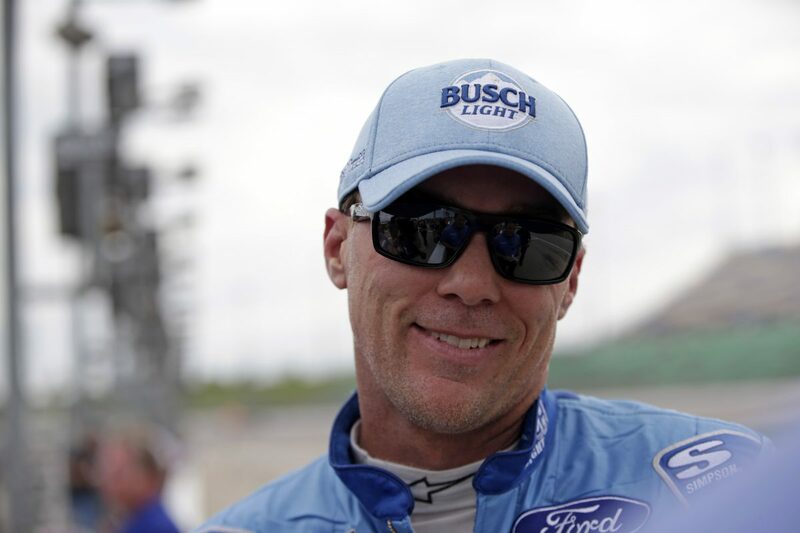 In 2017, Harvick again finished ninth at Kentucky. The native of Bakersfield, California has scored five consecutive top-10 finishes at Kentucky dating back to 2013 with a best finish of seventh coming in 2014. Also on the to-do list for Harvick this weekend and the seven races that follow is the accumulation of playoff points that are so critical at this point in the season. Thus, even more pressure to start up front and, ultimately, to try and win the Busch Pole award. Harvick’s 27 playoff points heading to Kentucky rank him second to Busch, who leads the series with 30. The best way to score the maximum amount of playoff points in a race is to start up front, earn stage points and win races. Harvick and the No. 4 team can accomplish all of those goals with a win this weekend – and cross another track off his list while scoring the most playoff points possible. The No. 4 Busch Light team will give it everything it has to earn the win and the points Saturday night at Kentucky. You’ve scored five straight top-10s at Kentucky Speedway but are still looking for that first top-five and win. What makes Kentucky so challenging? What challenges does the heat in Kentucky present this time of year?